What has it been? 1 month? 2 months? Point being, I have been severely shirking my duties of keeping you, my valued audience, up to date on the In Law unit project. For this, I apologize, and, I intend to make it up to you in this very exciting post! As a child, one of my favorite past times was to draw up the full architectural layout of my future home\s (along with the occasional amusement park). In most cases, the home would include a fully equipped stable where I would have direct access to my horse from my bedroom. I mean, how else would I be able to swiftly swing into action as the horse riding superhero that I was? 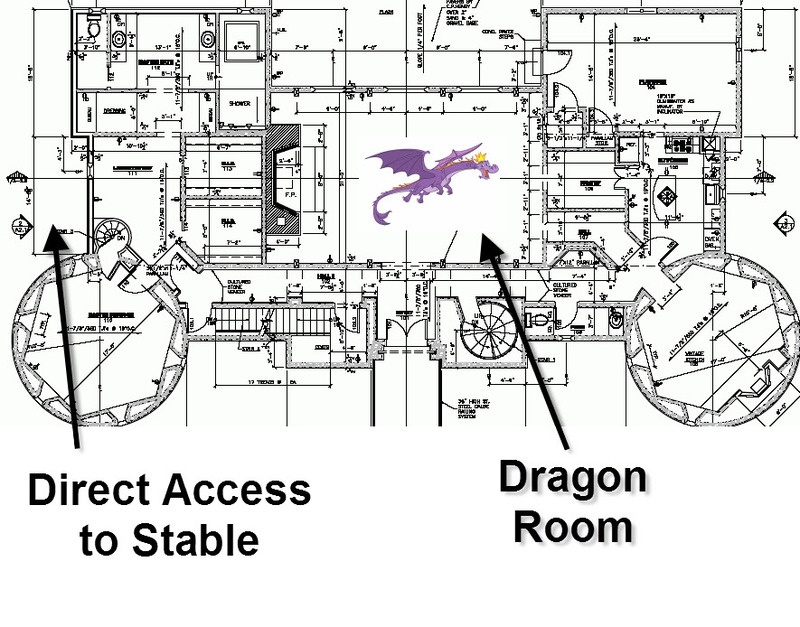 In other cases the home was actually a multi-level medieval castle with a large room where my pet dragon could spread her wings and fly around. Of course this room would be separated from the stable so the dragon and horse wouldn’t get jealous of one another. The best part of the home design process was getting to imagine how these spaces would be decorated. For the dragon room, of course I would go with an open concept design, primarily built out of stone (which is naturally fire resistant). The stable, on the other hand, would embody more of a farm-house aesthetic (with the exception of the super-modern secret room where our superhero uniforms and gadgets would be stored for safe keeping. Also, by “our superhero uniforms,” I, of course, mean my uniform and my horse’s uniform). Now, that I’m a grown up I get to relive those childhood past times. This time, however, after conceptualizing a space I actually get make it real. With the In Law unit, I’ve finally achieved the point in which construction is essentially over and now I get to play around with decorating & design. Over the last couple months, which you might remember as “that chunk of time where Beth didn’t update her blog,” I’ve been working to tie up a few loose ends in the In Law unit. 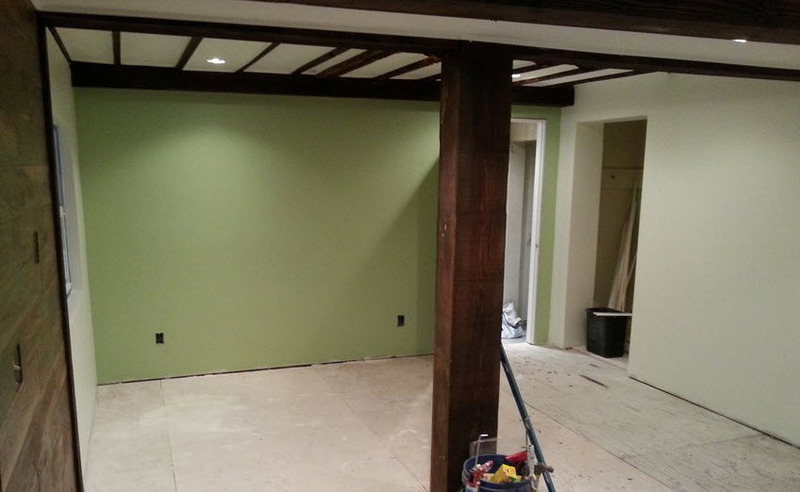 For starters, I’ve painted the walls to the main room. 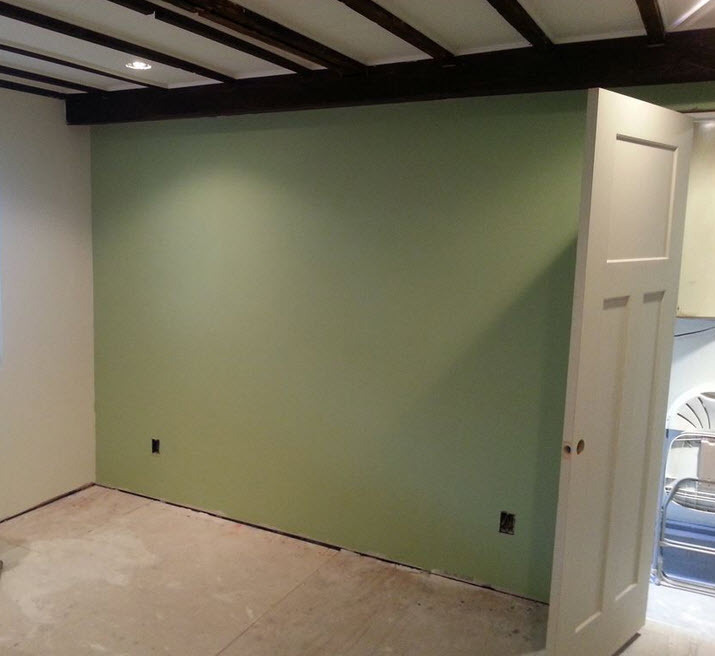 Since the space is somewhat small, we decided to go with a light beige color to keep the room feeling open, with a green accent wall for a pop of color. Once all of the walls & ceiling were fully painted, I moved onto putting up the ceiling molding. 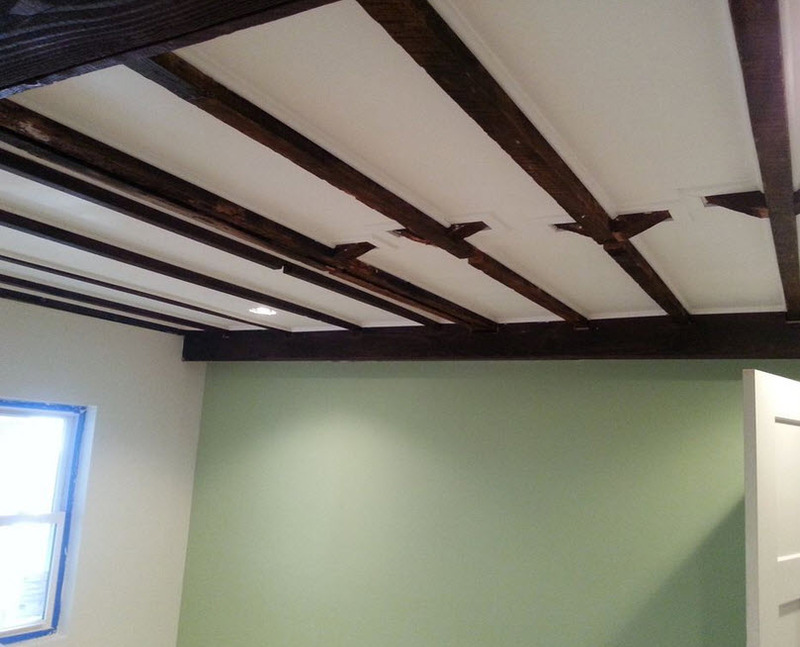 You see, the exposed joists gave me the rustic look I was going for, however, they didn’t look particularly tidy. The drywall didn’t terminate in a clean way against the joists, and there was drywall putty splattered on the wood. This goes against all of my OCD (or as I like to call it, attention to detail) qualities, and had to be fixed! 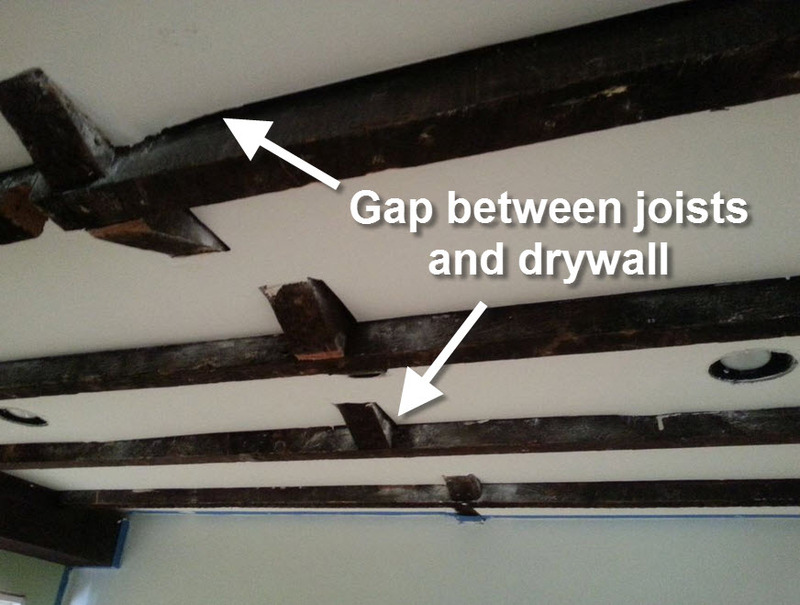 To remedy this situation, I installed molding between all of the drywall and joists. 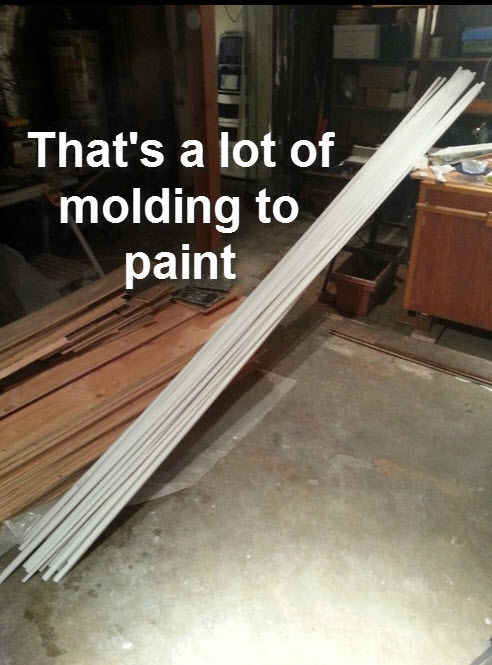 Now, you might be thinking “Beth, installing molding sounds easy enough. Why haven’t we heard from you in months?” Well, blog reader, that is an excellent question. 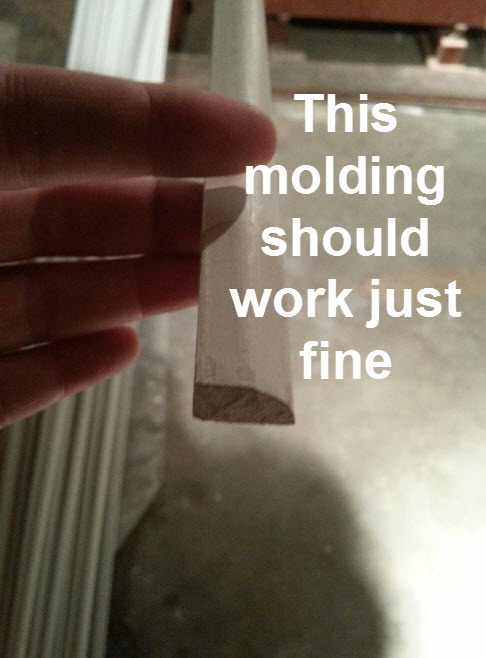 You see, putting up molding is a multi-stage process. First, you need to measure, select and purchase the molding. Then you need to paint everything. Then you need to measure and cut the molding to size, and at the correct angle. Keep in mind that nothing about the In Law unit is square. As I like to tell people, 45 degree angles are for children. Around here, we like our angles inconsistent and unconventional. 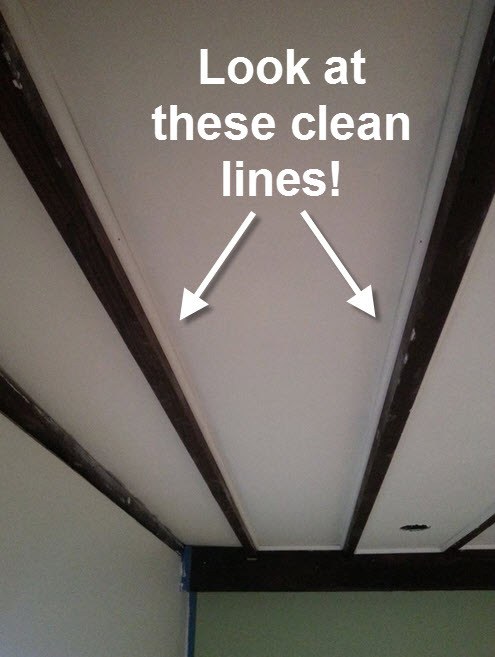 Once the molding is nailed to the ceiling, you spread caulking between the molding & the drywall to make it look nice & clean. Now, let me take a moment to get serious. Here goes…feel free to write this down. 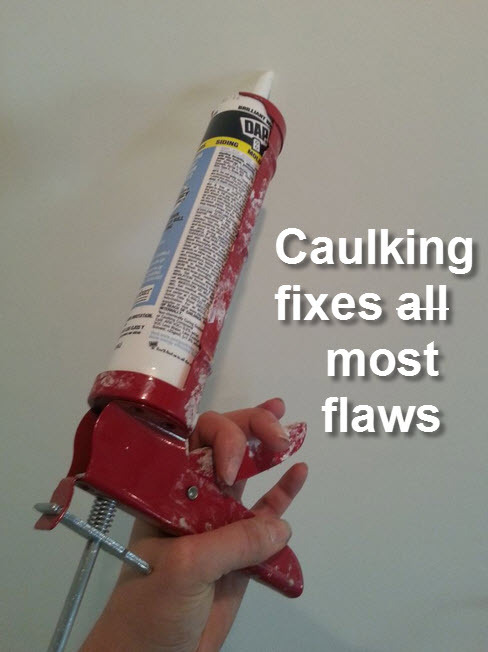 Caulking is the magic that hides all of those finishing flaws you have. 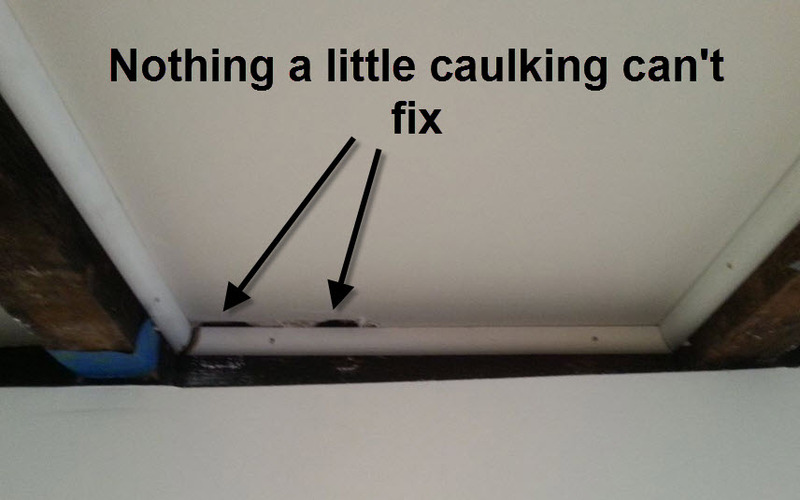 Poorly cut angles, goop them up with caulking. 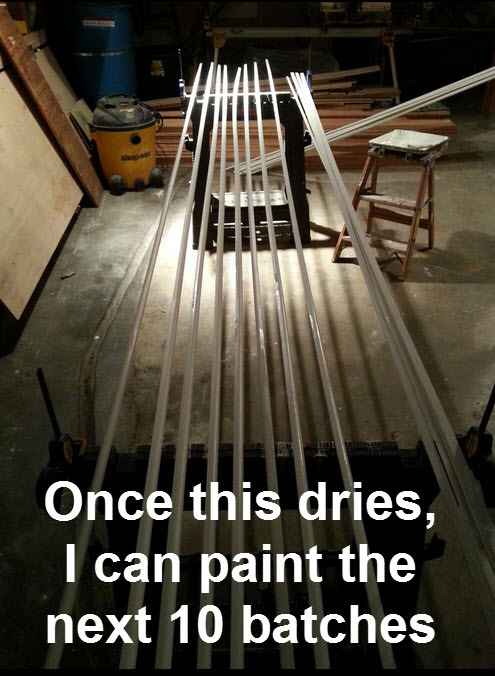 Nail holes, fill those with caulking. It’s the kind of magic you can get for $2.00 at the local hardware store, and you get to avoid having to eat your way out of a cookie house to escape an evil witch! Lastly, you do some touch up painting and voila! You’re all done! The next steps are to install the tile and the flooring!! I can’t wait. I’ve already started testing stains for the flooring and will be looking into tile this week. Stay tuned. And this all looks even more amazing in person! I love the colors, it looks fantastic!!! woohoo: the scary stuff is over and it’s pure fun from here on out!